Hello, everyone. Thanks for always making a lot of addons. I often use that you made. This thread is going to introduce the addons I made. I`ll update it as needed as soon as I make a new one. 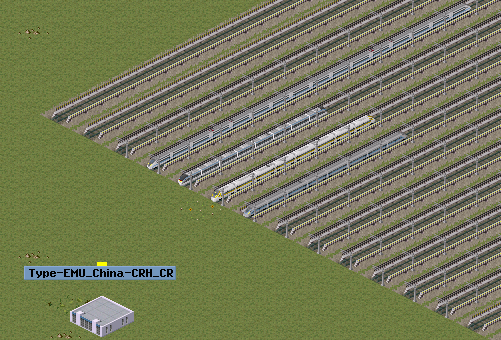 This set includes add-ons based on China Railway High-speed train "CRH" and "CR". They were made using "PlayerColor", so you can freely change the color of the train. I recommend it to your map's high-speed railway. This set includes add-ons of "South Shore Line", America's last interurban. You can purchase these trains from the garage "Tram". I recommend it to your map's interurban and commuter railway. I think especially the 350 kph high speed trains fill a current hole between some of the fictional and real ones in the set, speedwise and real. And nice to have them in player colors too. Certainly, the speed of 350 kph may be just the speed to fill those things. 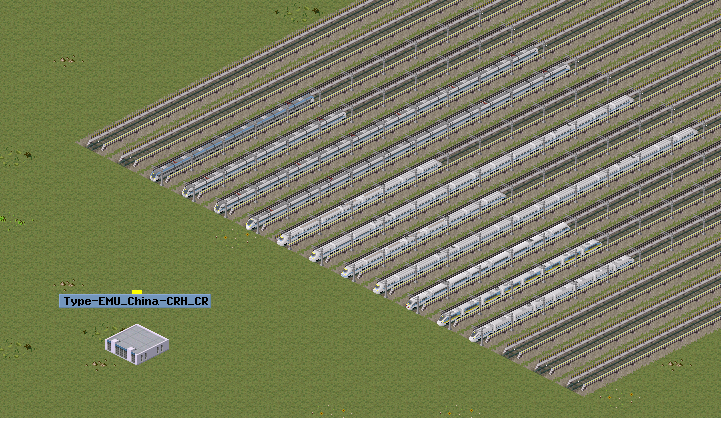 I`ll continue to produce trains of various speeds. I`m very glad that you have said me such things. This set includes "rubber-tired tramway" , the new-generation city transportation. And this set includes the track for Translohr in addition to the vehicle. I recommend it to your map's urban transportation. To create these add-ons, I referred to the template created by Takamaro. With this place I say, thank you. This set includes add-ons based on tramcars used in the Soviet Union and Russia. This set includes add-ons based on the "Maglev", the state-of-the-art transportation that uses magnetic levitation to move vehicles. I recommend it to your map's future transportation. This set includes add-ons based on the "TGV", one of the world's most famous high-speed trains. *This add-on corresponds to "food chain" of pak64. 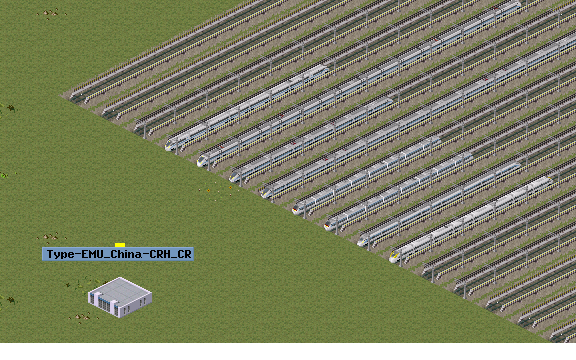 Before introducing "Type-Trainset_TGV", please download "food chain". It is add-on which I wanted to make from long ago, so I am very happy to say so!! This set includes tramcars produced by "ČKD", one of the most common tramcar in the world, and new type of tramcars related to it. Wow, very nice. Especially when I use some of these to commute daily. Thanks for comments and compliments!! This set includes horse-drawn railway`s vehicle such as "Horsecar" and "wagonway". I recommend it to your map's early railway. In that case I must be proud of Tatra Trams. If they are so famous that you made their models even if you cannot have a ride in real life. Yes, Tatra Tram is one of the most manufactured streetcar in the world. But in addition to that I have been interested in the capacity and speed of TatraTram for a long time. It is because it is very high performance compared with Japan's tram (capacity: 90 people or less, speed: about 40 to 60 km/h, in many cases it can not be connected with other streetcars) ! In the game I was helped by the high performance of these tram. In fact, in the 1990s Tatra T3 was imported to trams in Kochi prefecture in Japan as well. However, it was dismantled without being used even once. And thank you for providing the interesting URL. This is a good material and photos ! Thanks for your comments and praise! I also like "PlayerColor" which can change paint freely. I plan to incorporate it into Add-on which I will make. This set includes add-ons of "MTR-LightRail(香港輕鐵/轻铁)", running through the streets of Hong Kong. Some streetcars are using "PlayerColor", so you can freely change the color of the vehicle. This set includes Straddle-beam monorail of "Chongqing Rail Transit(重庆轨道交通)", the longest and busiest monorail in the world. These trains can be bought from the garage of "Monorail". To create these add-ons, I referred to the add-on created by 555. Oh my, you-re making a complete set by yourself! An impressive amount of work here - nice job! Thanks a comment and praise! This set includes add-ons based on the "Brightline", high-speed diesel trainsets in Florida. I recommend it to your map's non electric high-speed railway. This set includes "Scomi Rail", the straddle-beam monorail born in Malaysia. I`ll post it as a new add-on has been completed. This set includes add-ons based on various kinds of "freicht cars" all over the world. I recommend it to your map's freight train. *This add-on corresponds to "food chain" and "waste chain" for pak64. Before introducing these add-ons, please download "food chain" and "waste chain". This set includes "Crystal Mover", the automated people mover(APM) born in Japan. I recommend it to your map's urban transport and airport contact railway. To create these add-ons, I referred to the add-on created by 15A. This set include trainsets of "New York City Subway", running in the world's most cities. *I recommend using it with this add-on. This set include trainsets of "Dubai Metro", the world's longest automated urban railway. Amazing work, as per usual! Wow, thanks! I`m pleased that you like this! I`ll keep trying my best! This set includes add-ons based on the commuter train of broad gauge(1,600mm) in Adelaide, Australia`s big city. I recommend it to your map's urban and suburban transportation. This set include trainsets of "Addis Ababa Light Rail", the first light rail in Africa. 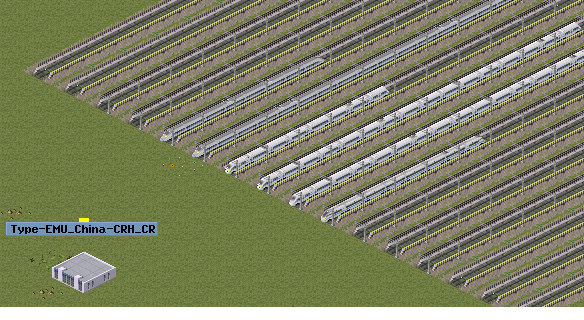 Some vehicle made using "PlayerColor", so you can freely change the color of the train. This set include trainsets of "Streamliner Train", good old luxury and fast trains. I recommend it to your map's limited express. Thank you for using add-on I made this year. I`ll continue to make more next year!